Illegal aliens enrolled and eligible for the President Obama-created Deferred Action for Childhood Arrivals (DACA) program took to the streets on Monday to proclaim that they are entitled to an amnesty that would allow them to remain permanently in the U.S. Meanwhile, Americans in recent polling say they want less overall immigration to the country, not more. 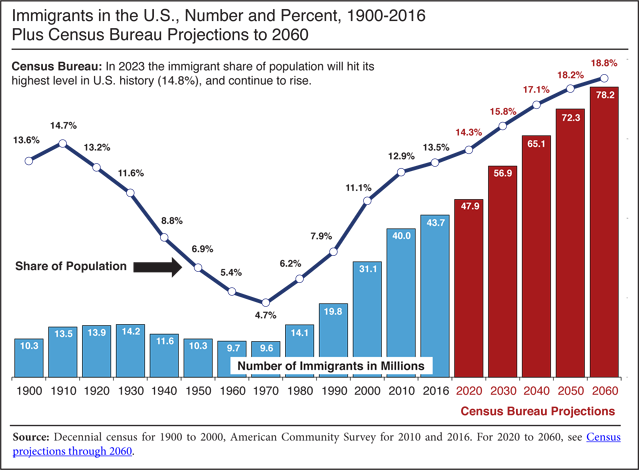 Currently, the U.S. admits more than one million legal immigrants every year, the vast majority of which are low-skilled and thus immediately begin competing for jobs against working and middle-class Americans. In the latest Harvard-Harris poll, 60 percent of Americans said they wanted the process known as “chain migration” ended for DACA illegal aliens, preventing the group of nearly 800,000 to 3.5 million illegal aliens from being able to inundate the U.S. with their foreign relatives. Chain migration is the process whereby newly naturalized citizens can currently bring their foreign relatives to the U.S. as legal immigrants. Chain migration has imported about 9.3 million foreign nationals to the U.S. since 2005. In that same time period, a total of 13.06 million foreign nationals have entered the U.S. through the legal immigration system, as every seven out of ten new arrivals come to the country for no other purpose than to reunify with foreign relatives. Likewise, the Harvard-Harris poll found that an overwhelming majority of Americans support President Trump’s effort to reduce legal immigration by nearly half by ending chain migration and instead implementing a legal immigration system that is selective and chooses immigrants based on their merit, skills, and English proficiency. Another 79 percent of Americans polled in the Harvard-Harris survey said they are opposed to open borders and that the U.S. needs “secure borders.” Seventy-one percent of black Americans and 72 percent of Hispanic Americans said they are opposed to open borders, favoring secure borders for the nation. The most revealing component of the poll is a portion that shows widespread support among Americans for Trump’s immigration plan that would cut legal immigration levels in half in exchange for allowing only illegal aliens enrolled in DACA — about 690,000 — to stay in the U.S. The results of the immigration reduction would likely be increased wages for American workers and a tightened labor market that would give more opportunity to young Americans graduating college, black Americans, and the white working class. 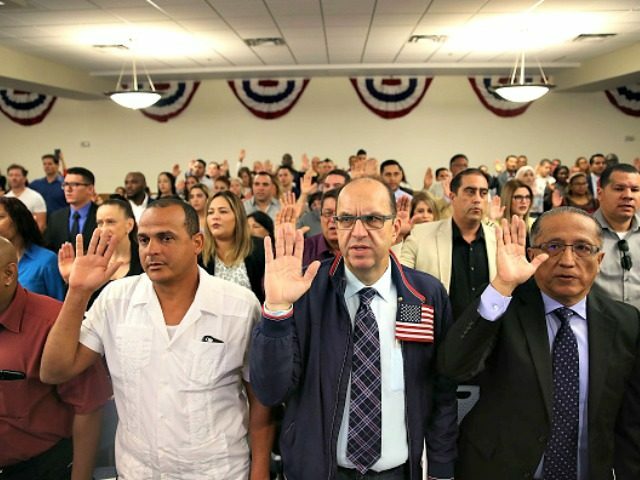 The immigration reduction plan is supported by 63 percent of Americans, including nearly 60 percent support from swing voters and 57 percent of Americans who identify as liberals. As Breitbart News reported, Republican voters now say that reducing overall immigration to the U.S. is the second-biggest priority for them, marking it as more important than tax reform, destroying ISIS, and even repealing Obamacare. Meanwhile, the economic nationalist model has already resulted in history-making wage growth for American workers in the construction industry, the garment industry, for workers employed at small businesses, and for black Americans.